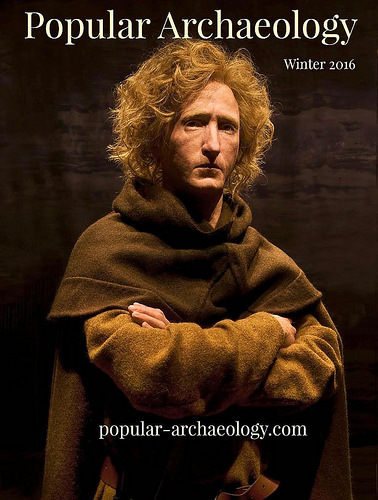 PLOS—Middle Eastern Bitumen, a rare, tar-like material, is present in the seventh century ship buried at Sutton Hoo, according to a study* published in the open-access journal PLOS ONE on November 30, 2016 by Pauline Burger and colleagues from the British Museum, UK and the University of Aberdeen. The seventh century ship found within a burial mound at Sutton Hoo, UK was first excavated in 1939 and is known for the spectacular treasure it contained including jewellery, silverware, coins, and ceremonial armour. The site is thought to be an example of the European ship-burial rites of the time, and also includes a burial chamber where a corpse was likely laid. Fragments of black organic material found in this chamber were originally identified as locally-produced ‘Stockholm Tar’ and linked to repair and maintenance of the ship. 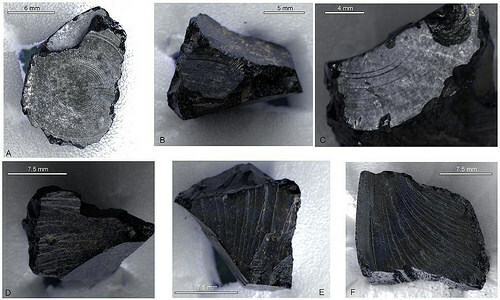 The authors of the present study re-evaluated these previously-identified samples, as well as other tar-like materials found at the site, using imaging techniques and isotopic analysis and found the samples had been originally misidentified.